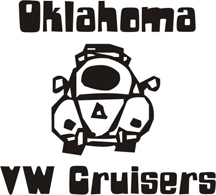 Oklahoma Vw Cruisers • Can anyone help with body work repairs on my 74' Ghia? This is Tiff, the proud owner of a battle worn but beloved Karmann Ghia. It's a 74', the last of the breed, and I wanna' revive the ole' gal to her former glory. I have so far enlisted the V.W. jedi himself Joe at Joe's V.W. to get her running and back on her feet mechanically, but I am looking for a good body work person. I have had several reputatable folks back out for various reasons ranging from not liking the monumental appearing task her rust, etc, presents, retiring from the V.W. biz, or being just too backed up with other projects to commit. If there is anyone out there with some good leads, or interest in assisting, please e-mail me back okay? I will have to vistit this club the next time you all meet at the steak house on Penn. Hope to see ya there. Re: Can anyone help with body work repairs on my 74' Ghia? Who is Joe? and where are you located?